If this isn’t your first visit to the BoardSource blog over the past few years, you probably already know that we have committed ourselves deeply to helping the nonprofit sector increase its diversity, inclusion, and equity. If you are unfamiliar with our recent work, then you should know that this subject speaks directly to not only who we are, but also to what we believe — nonprofits can become their best selves only when they harness the power that comes with diverse leadership and staff. But, we also know there is a lot more work to be done. According to BoardSource’s 2017 edition of Leading with Intent, our biennial survey of nonprofit board practices, as a sector we have been extremely slow to diversify our boards in any meaningful way. In fact we have seen minimal, if any, significant change in nonprofit board composition over the past 25 years. This is despite the fact that the same survey indicates that nonprofit executives and board chairs say that they understand and recognize the benefits that diversity can bring. For example, 79 percent of chief executives said that expanding racial and ethnic diversity is important or greatly important to increasing their organization’s ability to advance its mission. When prompted with specific areas where increased diversity could be beneficial to the organization, 89 percent of chief executives replied that diversity is either important or very important in understanding the organization’s external context from a broader prospective. Eighty-five percent responded the same when asked about the importance of diversity in developing creative solutions to new problems. And 82 percent noted the importance of increased diversity to understanding the client populations served by the organization. These responses indicate nonprofit leaders clearly understand how board diversity can benefit their organizations, but that connection hasn’t transferred to their board recruitment priorities. To illustrate that disconnect, nearly one in five board chairs and chief executives told us that diversity on the board is both important to the organization and its mission but also reported that they aren’t prioritizing demographics when they are recruiting new members. And, when asked broadly, “What should be done to improve board performance,” less than one quarter of executives and board chairs answered “changing or strengthening board recruitment practices.” This frustrates me. As a sector, we need to be focused on finding ways to breakdown the resistance to demographic shifts demonstrated in these findings. Collectively, we know we can do better. But, we can’t do that until we are honest with ourselves about the barriers in place and why our current efforts are not enough. One starting point for improvement is increased transparency about who currently serves our organizations. That leads to a greater understanding about where our journey begins — and perhaps serves as another incentive for improvement. 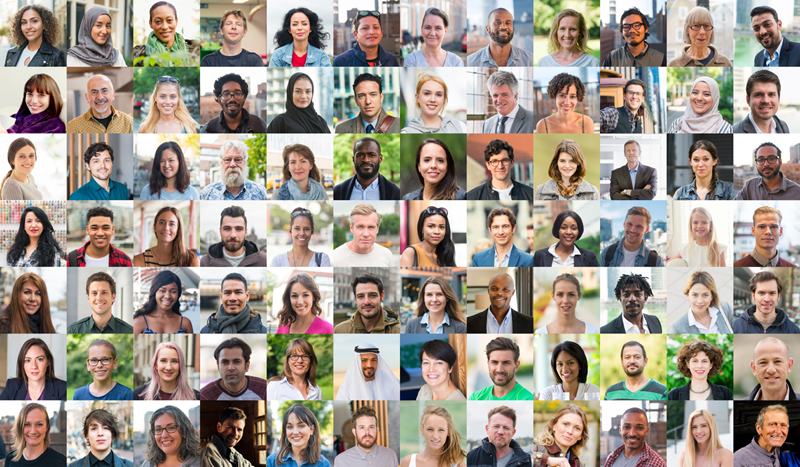 GuideStar provides nonprofits with an opportunity to share information on the demographics of who works in and leads their organization on their GuideStar Profiles — and BoardSource is pleased to support their efforts to collect this information. All you have to do to share your information is complete a short questionnaire created by GuideStar and D5 (an initiative to advance diversity, equity, and inclusion in philanthropy). The questions pertain to gender, race and ethnicity, sexual orientation, disability, and diversity strategies. Diverse board composition does not happen on its own. Boards must reflect on their current composition, define what their ideal composition looks like, and then be vigilant about finding it through focused and disciplined board recruitment. We encourage you to begin the journey and be transparent along the way by sharing the progress you’re making on your organization’s GuideStar Profile.